When your name is Google, it’s only logical to own the alphabet. Within minutes, the wires were flooded with opinions about this naming choice, especially focused on Google’s choice of using the domain name abc.xyz for the new brand. The Washington Post penned an article titled “Here’s what happens when you try to find Google’s new parent company, Alphabet, on the Internet”. It describes how Alphabet.com is owned by BMW and the twitter handle @alphabet is owned by one Chris Andrikanich, a self-proclaimed geek in Ohio. Ironically, this brand announcement came the day after Paul Graham, one of the most vocal people in the start-up community, wrote an article stating that, if you have a U.S. start-up called “X” and you don’t own x.com, you should probably change your name. All of this news has made for an interesting couple of days in the naming space. Why would Google use a .xyz extension? 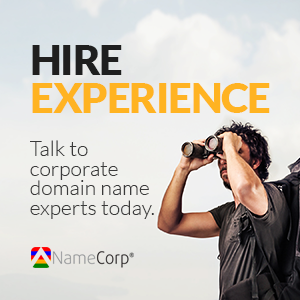 Why not build on a .com domain? Many different answers have been floating around but the answer is a lot easier when you look at the buyer. Google is the world’s third most-valuable brand, behind Apple and Samsung. This means Google can brand anything. It doesn’t matter if its .xyz, .123 or .supercalifragilisticexpialidocious. You will learn to type in abc.xyz and you will like it. For Google, it doesn’t matter what the extension is—what matters is what the extension represents and, from our perspective, abc.xyz sounds a lot more Google-esqe than abc.com or alphabet.com. Alphabet is also not the consumer brand, but a non-consumer-facing umbrella company for the Google family of brands, which lessens the importance of having a .com domain (if there is any when your name is Google). Google’s use of abc.xyz is likely the most significant event to date for adoption of the new GTLDs (generic top level domains). Millions of people will visit this site and the .xyz extension will be branded forever as a solid domain name extension. Furthermore, because of Google’s adoption, the automatic trust and credibility will trickle over and make people consider .xyz as a choice in naming. Using a new GTLD is certainly enticing, but there is so much more to naming than simply choosing what URL to use. For starters, Google can brand anything and, well, you aren’t Google. Forget about three-word names and unpronounceable words. Choose a single or two-word combination if at all possible. Alphabet will forever be a memorable talking point since it doesn’t just stand for letters but also for “alpha-bet (Alpha is investment return above benchmark)” and “a collection of letters that represent language, one of humanity’s most important innovations” that form the core of Google’s business model. What story does your name tell? This starts with owning the best version of your domain name and also making sure you own the exact match in social handles. This doesn’t always mean .com—what it does mean is consistency among the URL and social handles. If The Washington Post is confused, then you can bet your customers will be too. Remember, you are not Google. If your budget allows it, then the cost of acquiring the .com will be worth it to eliminate potential confusion. But it’s not the only option anymore. At the end of the day, if you build something cool, people will come. The Internet is truly like a Field of Dreams, no matter what your domain name extension is.